Donald Trump’s presidency has seen the words “Make America Great Again”—a.k.a. MAGA—plastered all over the U.S., from placards to stickers to the infamous red hats. One of the last places you’d expect to see it, however, is on the side of a toy Transformers car in an alien language. And yet, it seems here we are. 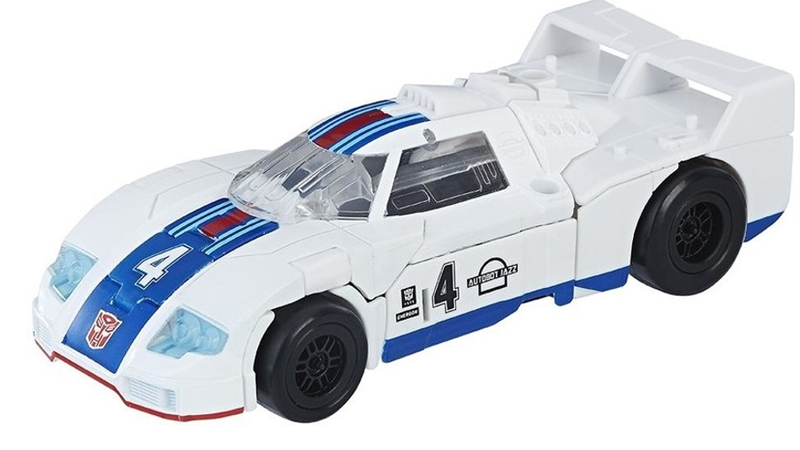 Hasbro’s recently released “Power of the Primes” Jazz action figure has started landing in the hands of eager fans, but one eagle-eyed collector in particular, Chrisrtxv on Twitter, noticed something about the tiny, tiny print of seen on the side of Jazz’s vehicle form. You can’t see it clearly in the publicity still of the toy above, but a close-up photo shows it has some scribbles of the Cybertronian alphabet underneath the Autobot logo. Another Twitter user, TheLastGherkin, translated it from Cybertronian as “MAGA,” the acronym for Trump’s well-worn catchphrase. This wouldn’t be the first time people have slyly incorporated references to Trump and the “alt-right” groups that support him into pop culture items hoping no one would notice, but considering that Jazz is... well, a giant alien robot, his supposed support for the Trump Administration is pretty darn weird. We’ve reached out to Hasbro for comment, and will update this article as needed. It was brought to our attention that a graphic appears on one of our Transformers figures that, when translated from Cybertonian letters to English, spells out MAGA. We investigated the issue, and discovered that one of our vendors inserted this as part of the design without authorization. We are addressing this with the vendor. We do not intend for our products to carry political messages, and apologize to anyone who was offended by this message.